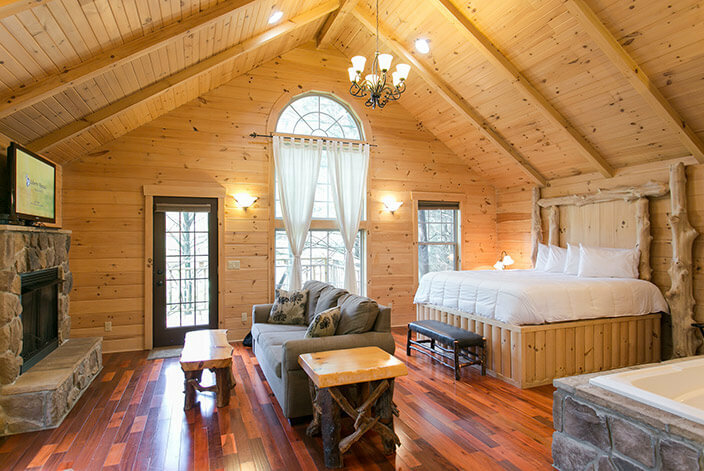 Enjoy breathtaking and one-of-a-kind Ohio Amish Country lodging in the Whispering Pines Tree House. 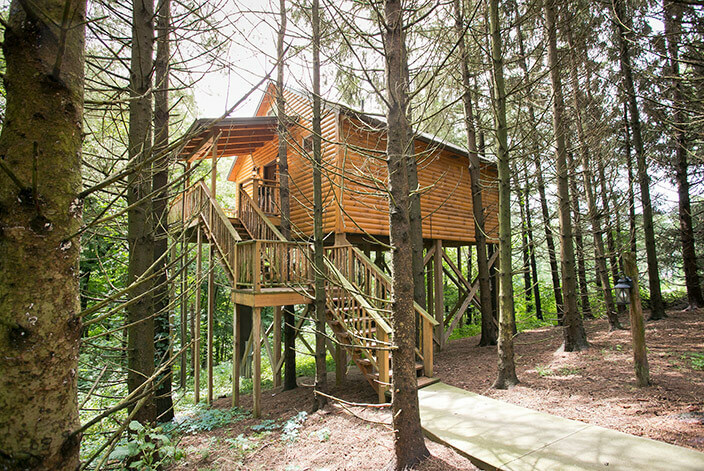 This cabin towers 22 feet in the air and offers luxury, adventure and comfort. 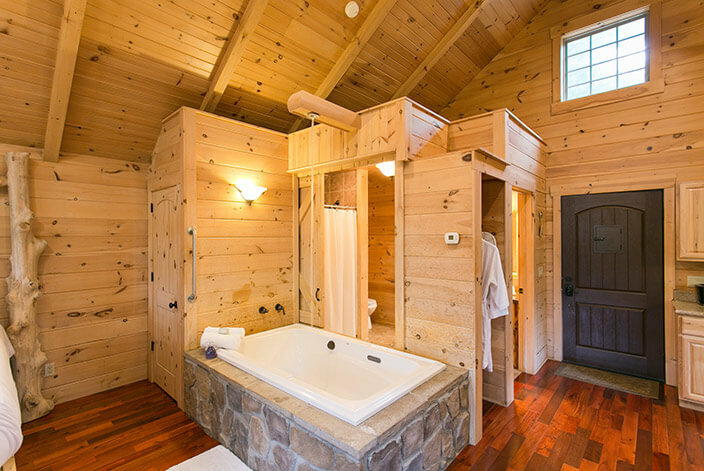 Featuring a stone jacuzzi with ceiling tub filler, stone fireplace with full living room, King sized rustic Amish Crafted pillow-top mattress, fully equipped kitchen, walk-in shower, AC/Heat, cherry hardwood floors and rustic furnishings. 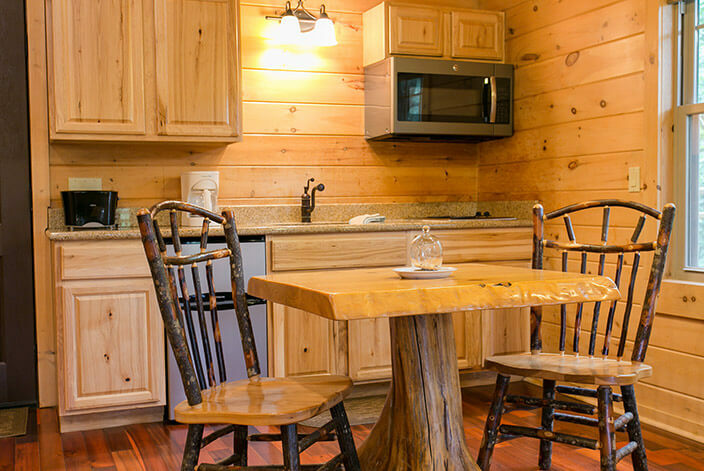 Privately tucked away in a grove of White Pines, relax and refresh yourself while sitting on your deck enjoying the sight’s and sounds of the woods. Located at the Pine Cove property. Find out more about our other Amish Country Ohio lodging options. 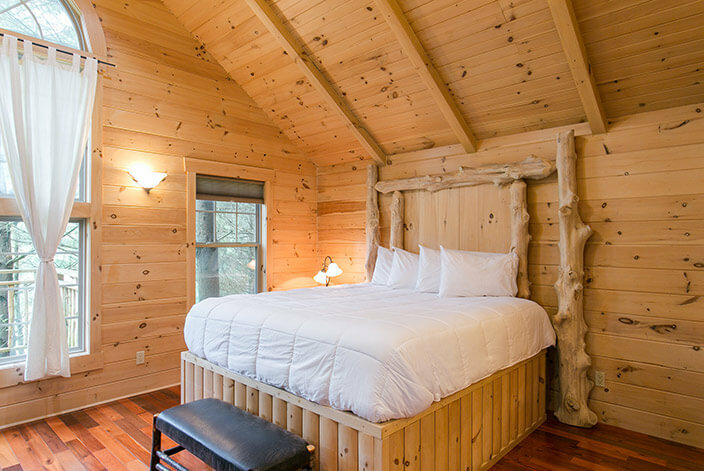 The cabin is gorgeous, it looks brand new and it is immaculate. It's secluded and private and just beautiful up in the trees. I highly recommend this cabin!